This book is primarily oriented toward system programmers and computer security experts. In addition, electronic engineers, pc technicians and computer enthusiasts can also benefit a lot from this book. Furthermore, due to heavy explanation of applied computer architecture (x86 architecture) and compression algorithm, computer science students might also find it useful. 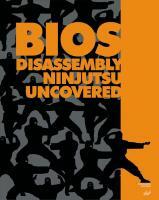 However, nothing prevents any people who is curious about BIOS technology to read this book and get benefit from it.